For Platform 2017, forty-one graduate artists from universities across the South East region were selected and exhibited at the five partner galleries – Aspex in Portsmouth, De La Warr Pavilion in Bexhill-on-Sea, MK Gallery in Milton Keynes, Modern Art Oxford and Turner Contemporary in Margate – all members of CVAN South East. From their respective exhibitions, each participating gallery nominated one artist to be considered for the award. Guest selector and Turner Prize 2017 nominated artist Rosalind Nashashibi will announce the winner of this year’s award on Saturday 9 December at a special event at Modern Art Oxford. The award includes a £2,500 bursary towards the development of the artist’s practice and bespoke mentoring from artist Jonathan Parsons. 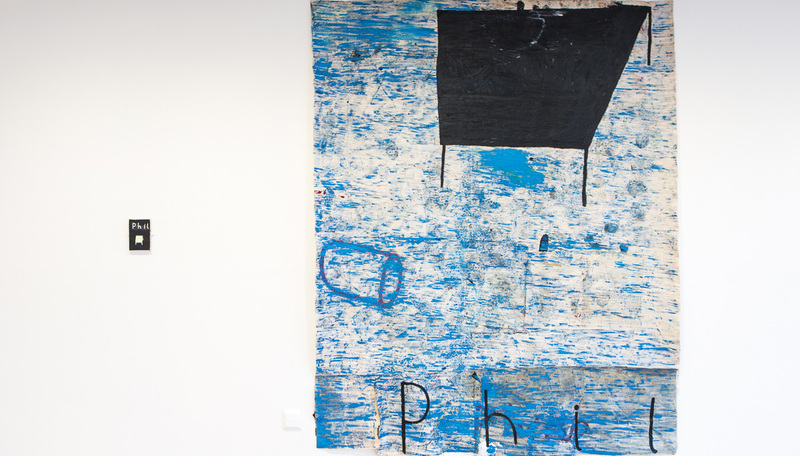 You can see Sophie Barber’s fantastic ‘Phil’ paintings in our Rooftop Foyer, open until Sunday 5 November. Click here for more information.